Above: Falcons owner Arthur Blank and linebacker Sean Weatherspoon hug it out. Weatherspoon, who spent the first four years of his career in Atlanta, was re-signed by the Falcons this offseason after spending 2015 in Arizona. 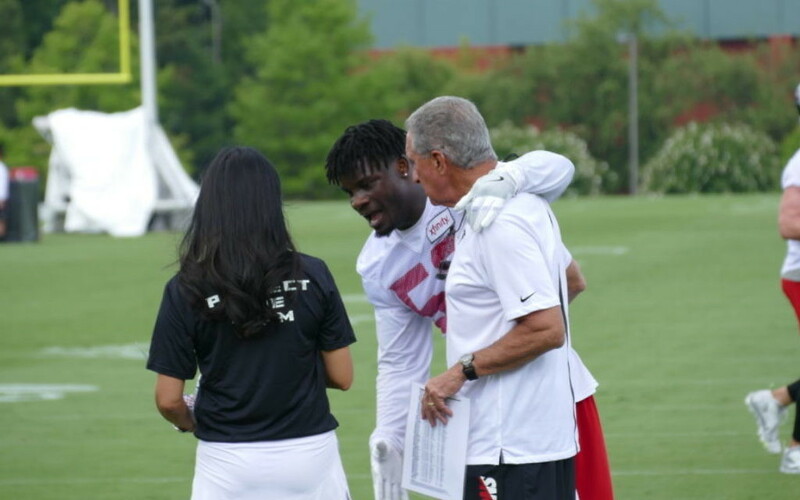 The Atlanta Falcons 2016 training camp officially got underway July 28 and it was an unusually cool and breezy day, so AJT Associate Editor David Cohen and summer intern Eddie Samuels decided to make the 45 minute drive up to see what all the fuss was about. 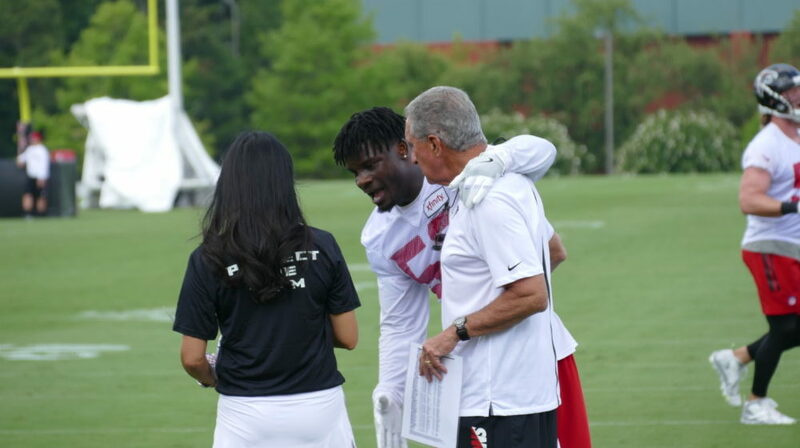 Team owner Arthur Blank and the rest of the Falcons players, staff and coaches were out and about at the team’s Flowery Branch headquarters. Check out a few of the photos we took of the action. Photos by Eddie Samuels except where otherwise noted.